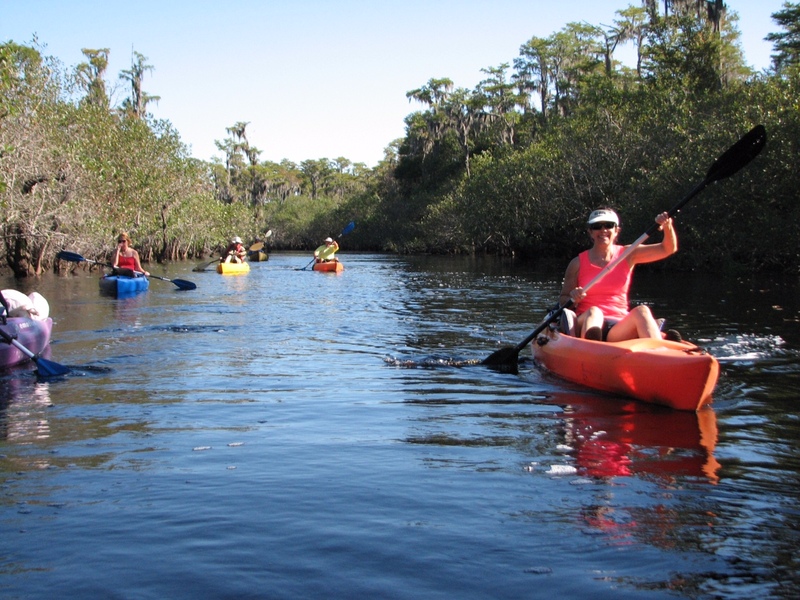 Cheryl Nichols and other Sierra Club members from Polk County paddle the upper reaches of the Suwannee River. There’s no “Welcome to Florida” sign on the Suwannee River. No message from Gov. Rick Scott saying Florida is “Open for Business.” And that’s probably appropriate. We saw no signs of commerce and few signs of other people last weekend on a 42-mile kayak trip that started at the river’s source at the edge of the Okefenokee Swamp in south Georgia.